View and download the new Doctrine of Discovery discussion guide. In January UUA Trustees voted to place a responsive resolution repudiating the Doctrine of Discovery on the General Assembly business agenda. The Doctrine of Discovery—the legal justification for colonizing the Americas and subordinating aboriginal people—is a narrative unfamiliar to many Americans. The Doctrine is so deeply embedded in American and Western culture that it hides in plain sight. The UUA Board of Trustees, at the request of our immigration justice partner organizations in Arizona, requests that Unitarian Universalists not only acknowledge the Doctrine of Discovery, but engage with a different narrative about our nation’s history and system of laws. The Board asks that we hear—truly listen to, and integrate—a narrative told by people on the margins of dominant American culture. The Board calls us to open our minds, hearts, and spirits to the implications and the potential of a new, truer story of how this continent was settled and our nation formed. This discussion guide helps organize conversations to grapple with the Doctrine of Discovery and the UUA Board Report and Resolution. Three one-hour sessions define the issue, contextualize it with native voices, and guide a plan of action. In short, the sessions ask: What? So what? and Now what? Discussion and journaling questions, which can be used independently of this program, invite Unitarian Universalists to shape new cultural, civic, and religious identity stories that include and embrace the perspectives of those who have been marginalized. This is wonderful! I’m so proud of the UUA for allocating resources to disseminating this type of information. I just downloaded the file and I will read it in the next two days. I just started facilitating the IMI course at another UU church and this is a great supplement to next Friday’s topic. 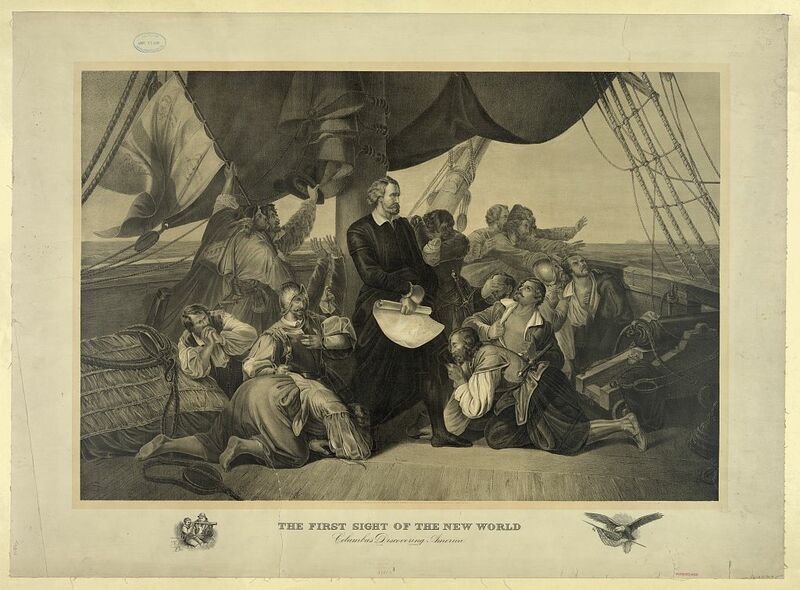 History of Immigration into the United States. I just have one comment to make, if I may. When you write: “…is a narrative unfamiliar to many Americans.” please remember that most Mexicans and Latin Americans, myself included, consider themselves Americans for being born in America, our continent. It will be great if the UUA would adopt the use of the term ‘US-American’. I personally say ‘people in/of the US’ regardless of country of birth or legal status. I know it’s unfortunate that there isn’t an ideal word to be used. ‘Usonian’ was proposed but I doubt it will become popular anytime soon. I’m really glad you like the discussion guide, Mar! I am interested to hear how it works with the group you are leading. Thanks for your feedback. Language is always tricky, especially when the expression is intended to be general rather than specific, and you are right that US-Americans would have been a better choice of words in this context, especially since the discussion guide talks about how US history is taught, not how national history is taught in other American countries. I agree that this is GREAT material. As someone involved in both ARE and CYRE in my congregation, I was very excited that the video is kid-friendly – meaning that we could incorporate it into our 2nd / 3rd grade curriculum for next year as well as doing something for adults. When I was traveling in Guatemala a few years ago, someone pointed out that we were all “Americans” – regardless of which country in the Americas we were from — and that in (Guatemalan) Spanish if I wanted to clarify my country of origin as the USA I could say “Norte Americano” (North American) or “Etato Unidense” (not sure about spelling, but essentially meaning “United States-er”). It is interesting that in North American English, we don’t have a word that clearly means “United States-er” so I frequently use the Spanish word when making that distinction. Why not adopt the Central-American Spanish word for this idea, and simply acknowledge that sometimes English has it’s limits and other languages/cultures can express the idea better? Other languages have Ameican-English words pushed on them all the time! THANKS, GAIL, for this great material! The Spanish term “estadounidense” is used commonly although not universally through much of Latin America. My experience is that casual conversation, especially among those with less education, often uses the lazier term “american(o)a”. It appears that in Spain, “estadounidense” is rarely used. Among educated people in Latin America the identity issue is often important enough that the inaccurate use of “american(a)o” to mean “estadounidense” is offensive. “Political Correctness” has created some changes in standard usage within the USA for various terms. I’m not optimistic that we’ll come up with a PC term to replace “American”. I’ll be interested to see how this ties in with Manifest Destiny, which is what I was taught about in my Chicano Studies class at Cal State Northridge in the 70’s.